Kim is an avid naturalist and outdoor sportsperson. A marine biologist by training, Kim grew up in Connecticut and then headed west to obtain her B.S and Master’s degrees in Marine Science at the University of California at Santa Cruz. She has worked with the Sarasota Dolphin Research Program at Mote Marine Lab since 1990 studying wild dolphin populations along the west coast of Florida. Kim’s interest is to inspire others to see the beauty of Florida coastal ecosystems and it’s inhabitants and to promote conservation through responsible stewardship. 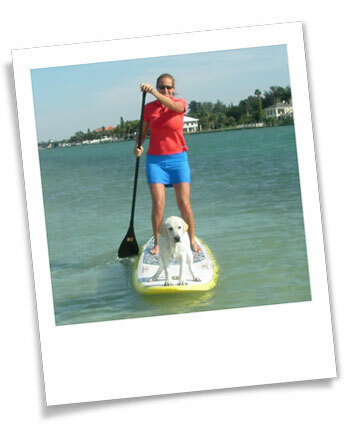 Kim is a certified ACA level 1 and 2 kayak instructor and also an AFAA group fitness instructor and personal trainer. She has worked in local fitness clubs since 1999. She believes in promoting wellness and fitness through water sport related activities. 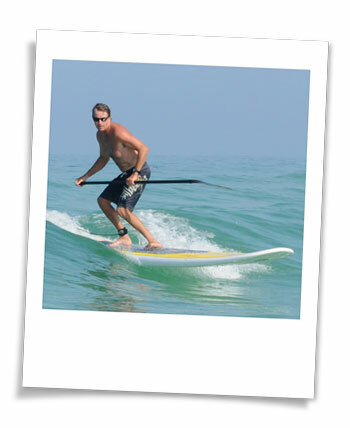 Pete grew up surfing, fishing, and exploring the waters all around Sarasota Bay and coastal Florida. He currently works for Mote Marine Lab as a specimen collector and boat captain. He has surfed all over the world and insists some of the best stand-up paddle surfing and touring opportunities exist right here in coastal Florida.